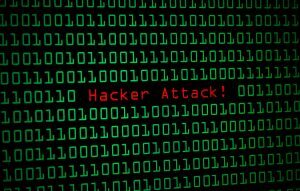 Custom Bulk USB Flash Drives | Flash Drives Keep Your Data Safe from Hacking: Don’t Get Hacked By Russia Like Yahoo! Flash Drives Keep Your Data Safe from Hacking: Don’t Get Hacked By Russia Like Yahoo! What does privacy mean to you and how can flash drives help? In the internet of things, it seems as if everything has moved to the cloud. Unless you’ve been living on an island without internet access, then you have heard of all of the cyber-security breaches that have occurred. This hacking activity has been here for years and has only been increasing. One example is Yahoo, who was recently affected with the hacking of their data allegedly by Russian agents. The cloud is not always dependable and a lot of people still use flash drives to keep their data secure. Flash drives are here to stay and are only evolving. You have a responsible, as a business person, to protect not only your business, but also your clients. If there information gets out, that spells an insurmountable amount of trouble for business as a whole. A large hack into your business will also lead people to believe that you simply don’t care about their information. Why would they believe that you haven’t been hacked yet? 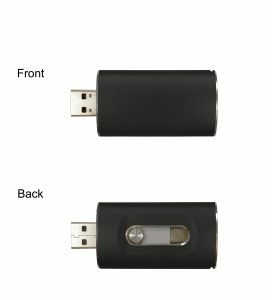 Since the internet use has largely moved over to mobile devices, Android- and iPhone OTG flash drive use has been increasing recently. All of the files you send are being tracked. Use an iPhone flash drive, as the once shown above, to keep your files safe and secure. You can also remind your clients to use your services by branding the flash drives with your logo. Call (813) 444-9626 to get your free quote! We NEVER share your private information and use the highest quality online shopping tools to maintain your security. If you do not feel comfortable putting your information online, just call us direct and we will handle your transaction with our secure systems. We use Bank of America, PayPal, QuickBooks and only the top merchant service providers to bring you quality service and peace of mind.